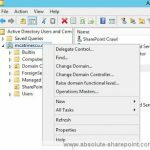 You are here: Home / SharePoint 2007, 2010 and 2013 Security Bulletin MS14-022 – Be Careful! Thanks for the warning Vlad. Security have raised a call for this vulnerability for SP2010 and SP2013 servers. However, they’ve included a number of SP2016 servers too. Does this vulnerability apply to SP2016 as there’s no mention of it in the MS Bulletin? It’s probably not the same security warning since this post was done in 2014, so SP2016 was not there yet! Quick update on why this vulnerability was flagged on SP2016 servers. This was because SPD 2013 was installed. Awesome, thanks for the update, and it all makes sense now!